Plamielle Kenmoe argues that President Biya’s rhetoric hides an “epidemic of hopelessness”. At the 3rd Ordinary CPDM Congress in Yaoundé, a few weeks before yesterday’s chaotic presidential election, Paul Biya defended the 29-year legacy of the ruling party in front of a generation of young Cameroonians. The Republic of Cameroon, he said, is moving from being a country of “great ambitions” to one of “great achievements”. 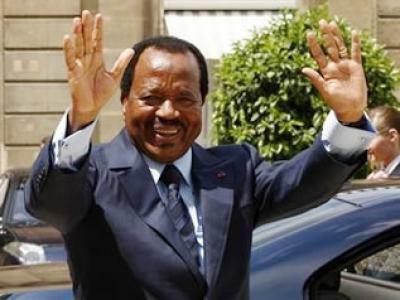 Biya argued that “much has been done, much has been accomplished despite the obstacles, despite the difficulties and despite several crises and their consequences”. The president added that Cameroonians should “be proud of the results obtained in these difficult conditions, for the good people of Cameroon”. This speech may have struck a false note for the thousands of young Cameroonians watching, many “hopeless, lost and without optimism for tomorrow”. Urging fellow members of the party to be more attentive to the concerns of young people, Biya said: “We must restore hope to our youth; therefore, both in the process of renovating our party and in the management of public offices, we will encourage rejuvenation in leadership”. Then he added that: “giving a significant role to young people, is preparing them to take over.” Biya has stated that “the present and future of Cameroon rests on the youth” but there is very little evidence of effective policies that target young people. Indeed, the level of brain drain that Cameroon suffers from is clear evidence of the lack of effective policy for youth integration and development. Young people across Cameroon, facing a daily battle with despair, underemployment, unemployment and disillusionment, to the extent that their self-esteem is threatened are asking the question: Is this the present and the future that the Head of State is referring to? This young generation has suffered from an epidemic of hopelessness but, even after yesterday’s disappointing polls, they cannot give up. While things may look challenging, this is an opportunity for the young generation of “sacrificed” Cameroonians to prevail in a reconstruction plan that will create a new dynamic. Working with the few successes of the government and giving the youth the necessary means to revitalise themselves is the key. Any solution to this 29 year epidemic must begin with the belief that young people can change their country for the better. Youths must begin to believe that the government is not their enemy and they must begin to believe that there is hope for positive change. Conversely, the country of Cameroon must also begin to believe in the value of its young and creative minds. Cameroonian youth must innovate and create to ensure that they have a stake in the society of tomorrow. This is the cure for the ills of their country. They should stop reaching out to receive but rather start to give something back. That is the spirit of a population who care about the future of their country.